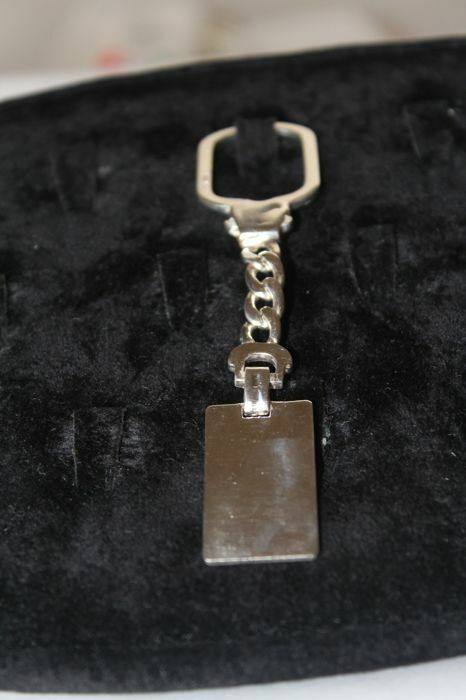 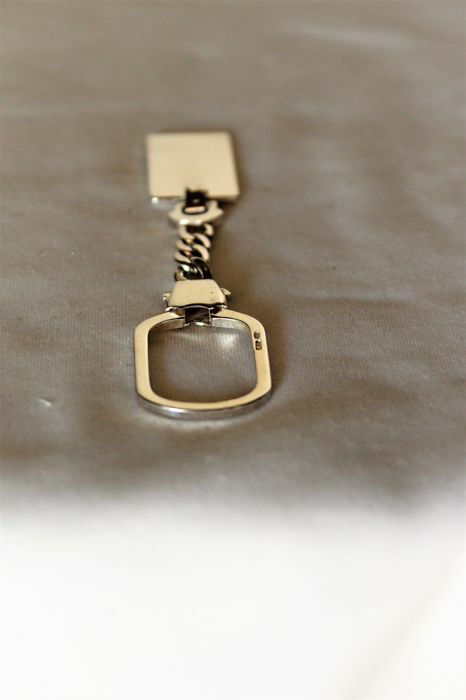 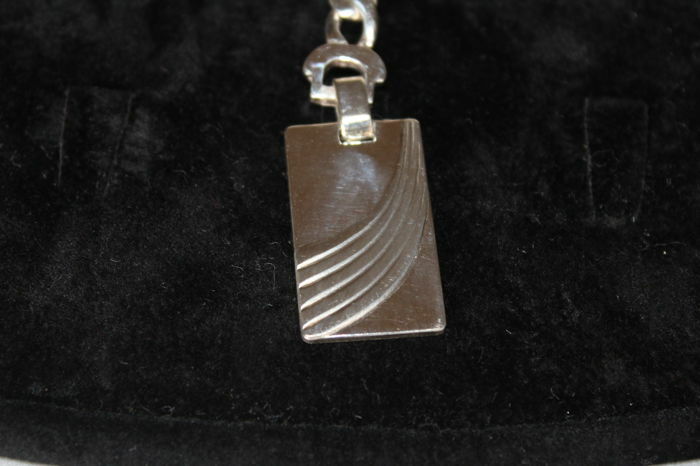 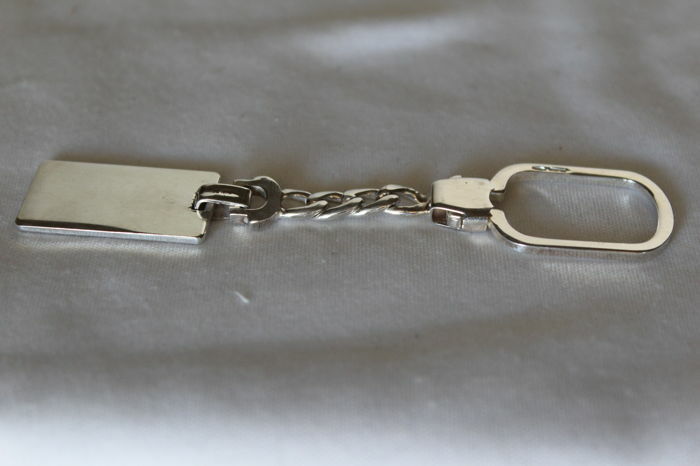 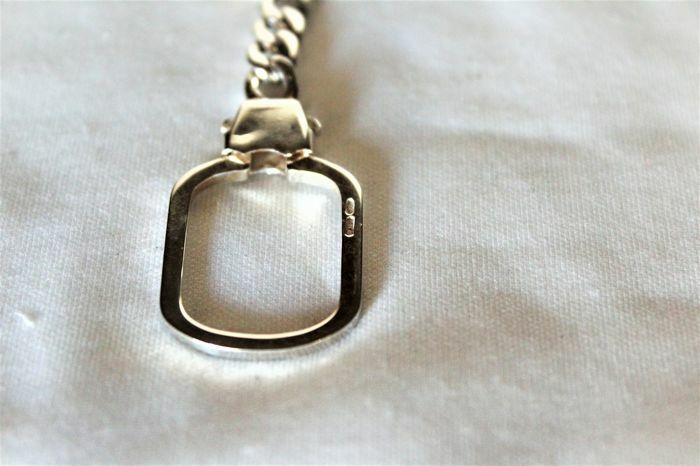 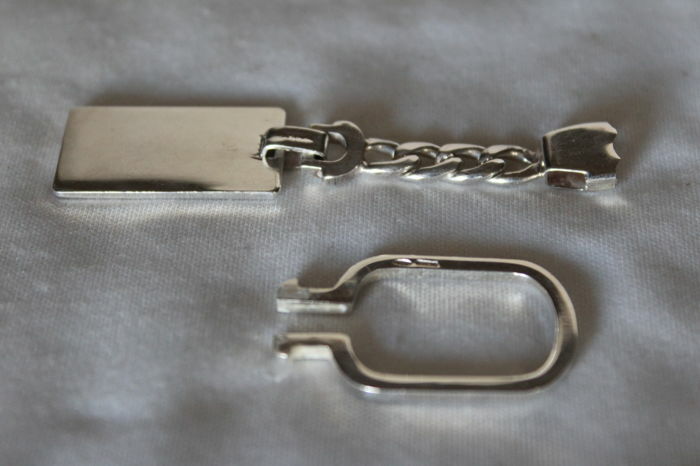 Silver key chain with an elegant and neat design. 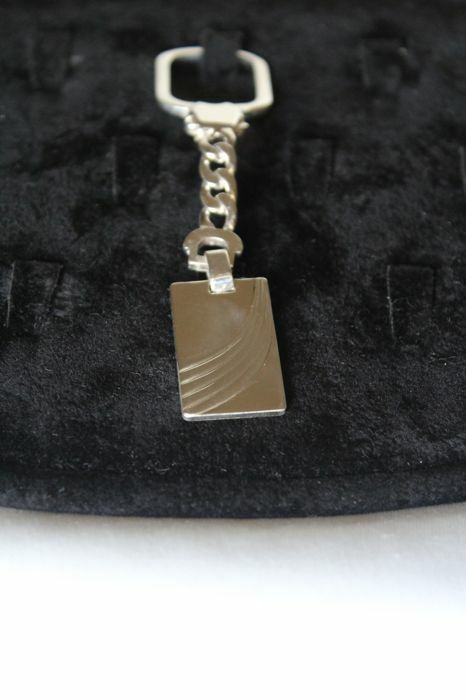 Silver fineness hallmark: 925 within a circle outline. 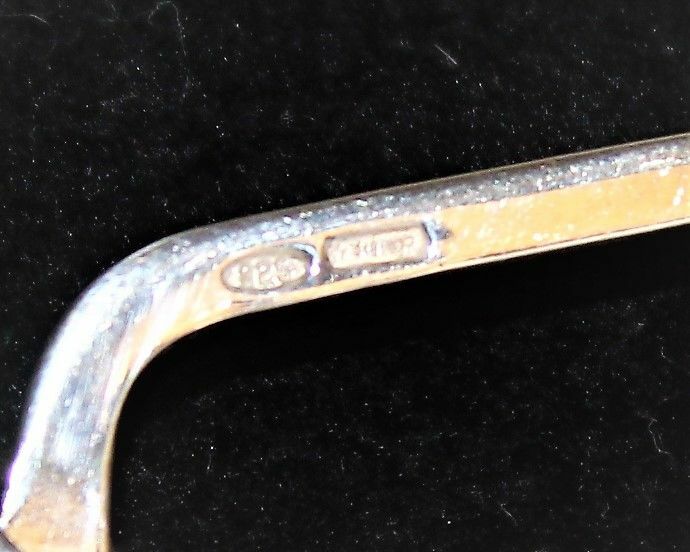 Silversmith hallmark: 419AR (Arezzo, Tuscany).